The popular streamers came out on top in the charity event. Popular Fortnite: Battle Royale streamers Turner “Tfue” Tenney and Kristen “KittyPlays” Michaela took first place in the Fortnite Korea Open, beating out other top players and personalities in the process. The pair won the Duos main event, while South Korean players SinOoh and Milfy won in the Solos portion of the competition. And while they’ll certainly get the recognition for their performances, none of the competitors will be going home with any cash. The event, which featured a 1 billion Won (about $883,000) prize pool, went entirely to charity. 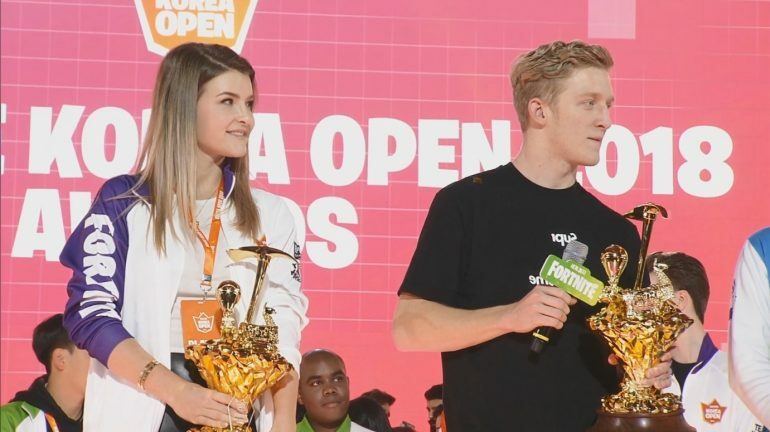 Certain aspects of the tournament, such as most eliminations and best clip, had 10 million Won prizes attached to them, which allowed players to earn money for charity in addition to their placing. The event not only featured well-known Fortnite players like Tfue, KittyPlays, and Ali “Myth” Kabbani, but it also had Korean esports legend Lee “Jaedong” Jae-dong playing. Actor Chris Pratt was even used to promote the event in advertisements that challenged Koreans to play the game. Fortnite is coming to Korean PC Bangs, which is pretty much the reason behind the event, and Pratt’s odd inclusion. South Korea is largely viewed as the most-competitive place on Earth for esports, which may mean we’ll see some Korean players dominating the Fortnite landscape very soon.